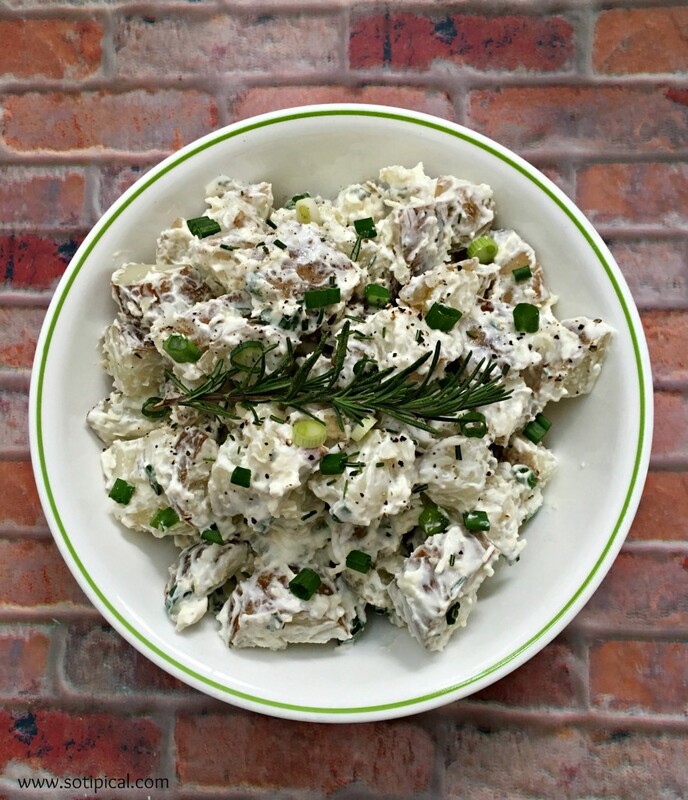 Greek Yogurt Potato Salad is a great way to reduce calories and add protein without sacrificing the rich, creamy taste of a traditional potato salad recipe. 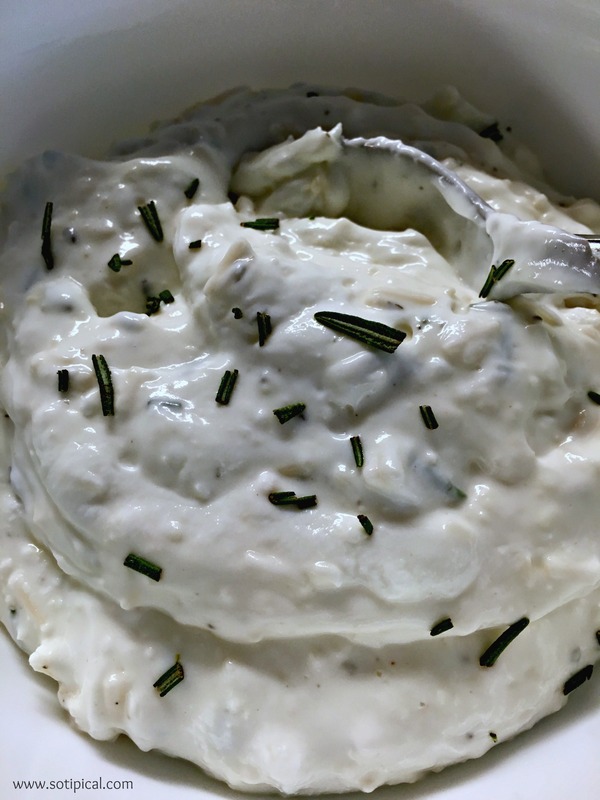 I just made this Rosemary Parmesan Greek Yogurt Potato Salad over the weekend and it is a wonderful explosion of flavor! So easy to make and no one knew I used Greek yogurt! I served it at a BBQ along side burgers and grilled kielbasa. 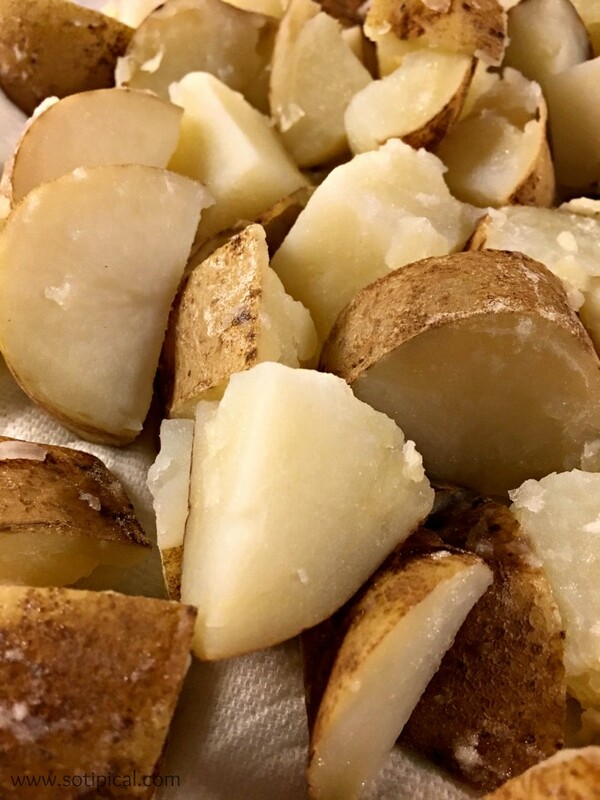 Begin by scrubbing your potatoes and slicing them into bite-sized chunks. I prefer to keep the skin on, but you can certainly peel them if you like. 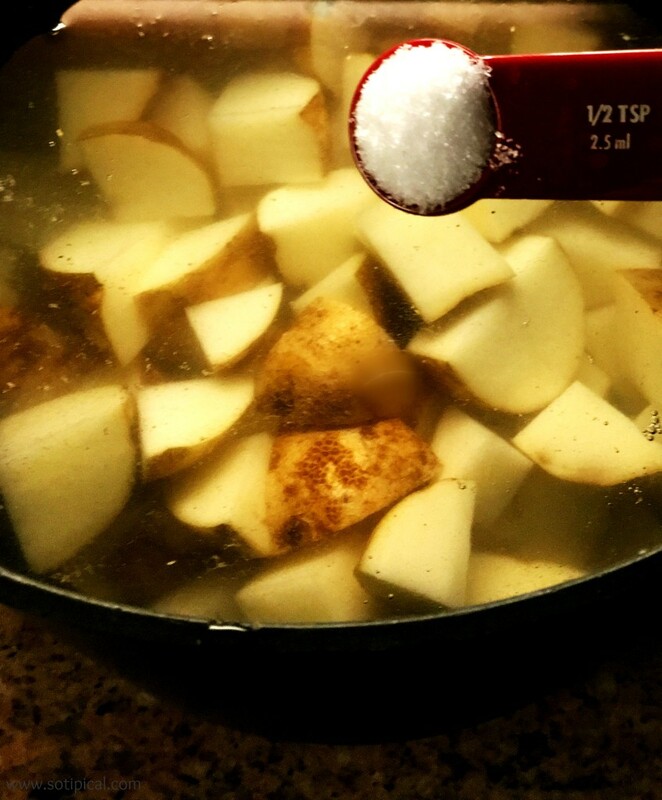 Place the chunks in a large pot of cold water and add salt. Cover and cook on medium-high heat for about 15-20 minutes, or until tender. Do not overcook or the potatoes will break apart easily. 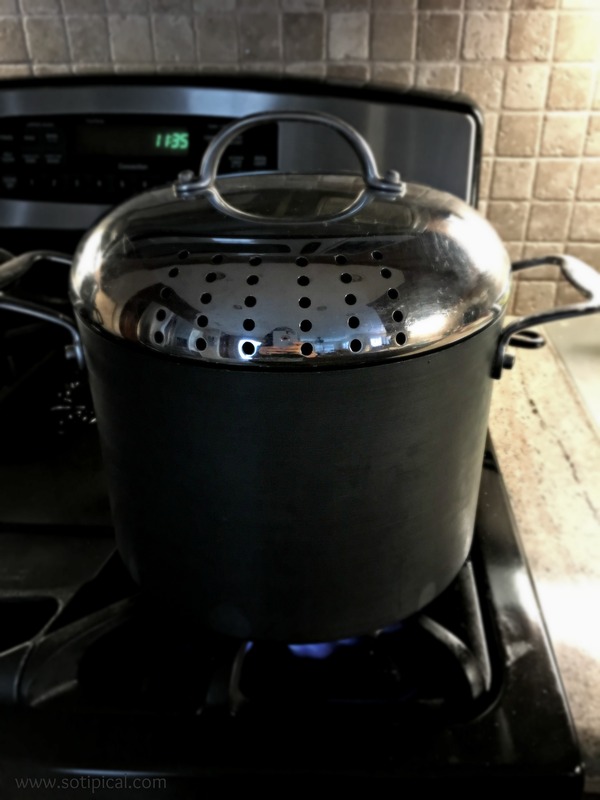 Drain the pot and add cold water to stop the cooking process. 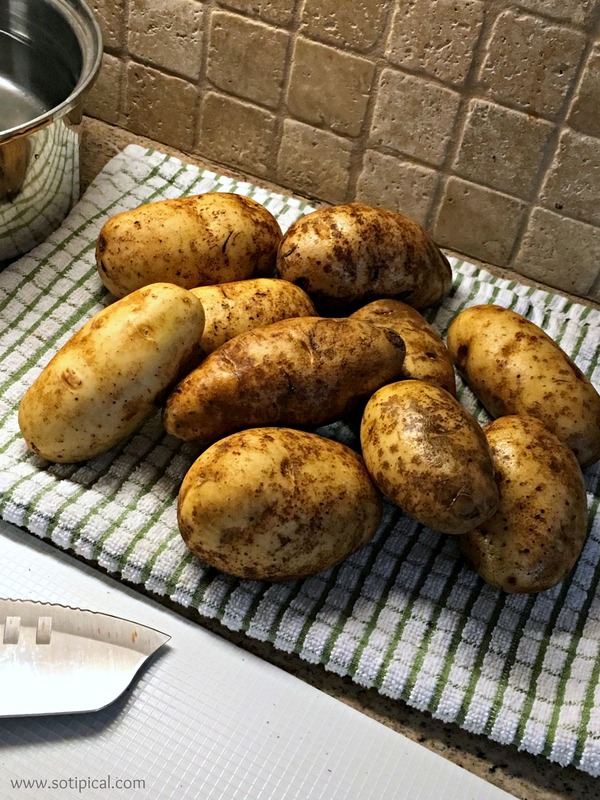 I did this a few times, then laid the potatoes out over paper towel on a baking sheet. At this time, I put the pan in the fridge to cool faster. Once cooled, transfer to a large bowl. 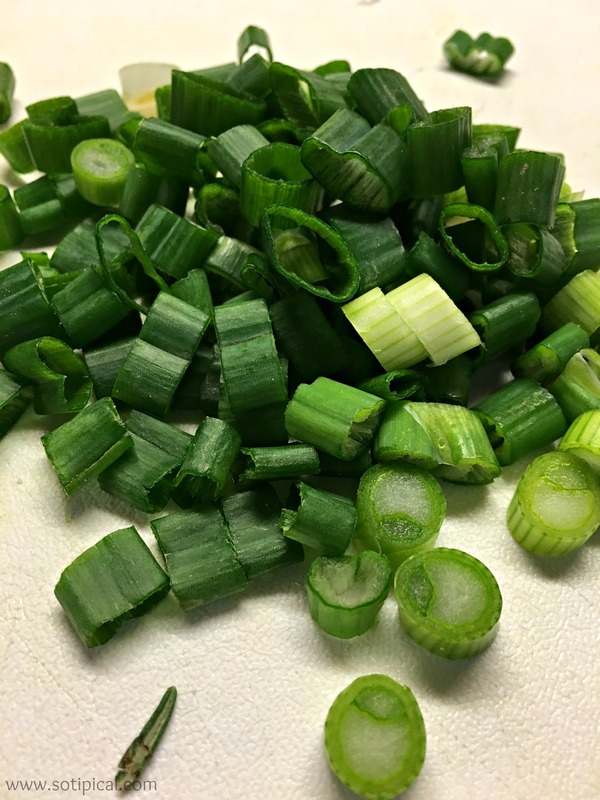 Chop green onions and fresh rosemary, then set aside. In a medium bowl, combine the Greek yogurt, light ranch dressing, apple cider vinegar and parmesan. Add salt and pepper, to taste. Toss the onions and rosemary into the potatoes, then gently fold in the yogurt mixture. Chill for about an hour before serving. Keep refrigerated. 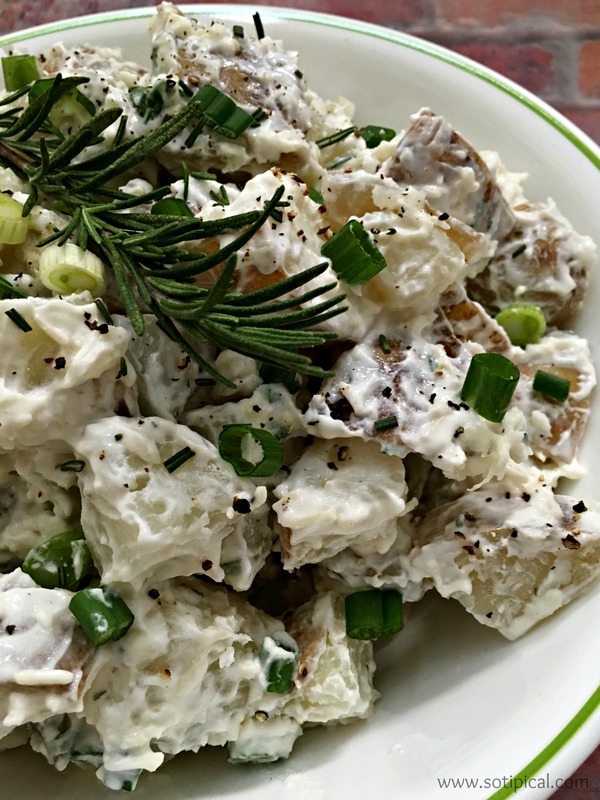 There are so many variations of this basic Greek Yogurt Potato Salad recipe. You can sub out any fresh herbs you prefer. The flavor of the ranch dressing went well with my menu, but you can add it or not. If you prefer, you can also substitute the 1/3 cup with a tablespoon of the powdered ranch dressing mix. I began substituting Greek Yogurt for mayonnaise and sour cream about 6 years ago and my family had no idea for the longest time. They all still say they don’t eat yogurt, but trust me, they do! What a gorgeous potato salad, I would love to make this, YUM!! Looks great. Love a good potato salad.